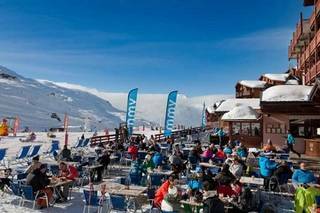 Ski hotels in Les menuires : compare ! You want to find a cheap ski hotel to prepare your next holidays with family or friends in Les Ménuires? Ski Express allows you to compare ski hotels in Les Ménuires before making your hotel reservations on skiing, to help you choose your hotel for your hotel reservation in Les Menuires, France. For your holiday in the mountains, this winter you can choose a hotel club with family rooms and many services that guarantee you a week in complete serenity. Indeed, in a club hotel, you can also choose half board or full board for the duration of your ski holiday, and benefit from suitable equipment for baby. Several hotels are located in the ski resort of Les Menuires, you can opt for a room in a ski hotel and spa: relaxation assured for your stay! Other hotels in Les Ménuires are located at the foot of the ski slopes and benefit from a privileged access to the ski area. From your ski hotel in Les Menuires you will discover the wellness area located in the Les Bruyères area, as well as the swimming pool and its paddling pool for children. There are plenty of leisure activities and you may find it difficult to choose between snowshoe walks, snow buggies, paragliding, snow scooters or diving in the outdoor swimming pool. All this to discover during your stay at the hotel Les Ménuires, which counts on its only domain already 160 km of ski slopes! If the resort is renowned for its connection to the Three Valleys area, it is also appreciated for its equipment dedicated to families, and its spaces for the youngest. Les Ménuires consists of several neighborhoods where you can walk and go out in the evening, the shuttle service in the resort offers you to move between different parts of the resort in order to find the shops, shops or activities you want to enjoy during your stay at the hotel. Your ski hotel rental in Les Menuires will make your holidays moments of happiness during which you will share adventures and pleasant activities with your loved ones. Whether you want to ski, hike, hike or just relax in style, your holiday in Les Menuires will be unforgettable. Ski Express will help you make the right choice so that you can find comfortable accommodation at a low price from a reliable and reliable service provider and make the most of your family holiday.